2019 Vietnam Coating Show We are pleased to inform you that we will attend the 2019 Vietnam Coating Show dated on Jun 26th-28th, 2019. 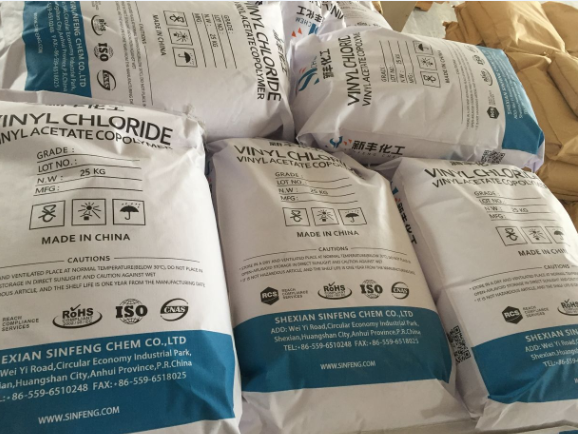 Standard for Vinyl Resin with Good Solubility In general, ester-soluble solvents (M series) are found in the mixtures of ketones or ketones and esters (or toluene-xylene), and ester-soluble solvents (MLC-20, LC-40, ELC-15/45, MTA5R, etc.) and even UV-soluble monomers (TLC40-43, ELC-18/38, ELC-15/45, PG-HC). Echnical Index Of Vinyl Resin When choosing vinyl resin, we will always see a series of technical indicators. What practical significance do these technical indicators have on the performance of vinyl resin? Vinyl Copolymer Resin For Printing Ink Vinyl Copolymers Resins is Copolymer of vinyl chloride and Vinyl Acetate ether.